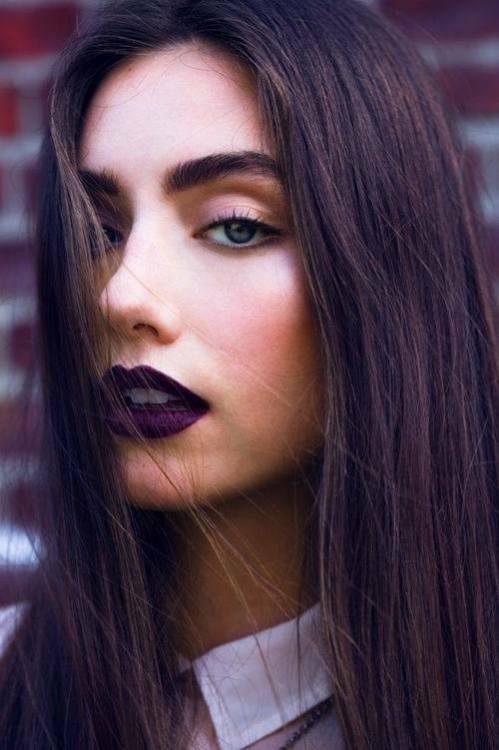 As you've probably read in my previous post, I'm converted to purple lips! I haven't said goodbye to my signature red lips permanently, but I do wear purple more often. Yes, you read that right. The red lipstick is temporary replaced by purple and purple-ish colours. I want to infect you with my new addiction, so I've gathered some inspiration pictures for yah. Cause sharing is caring and I care about y'all! Get inspired and understand my new obsession! 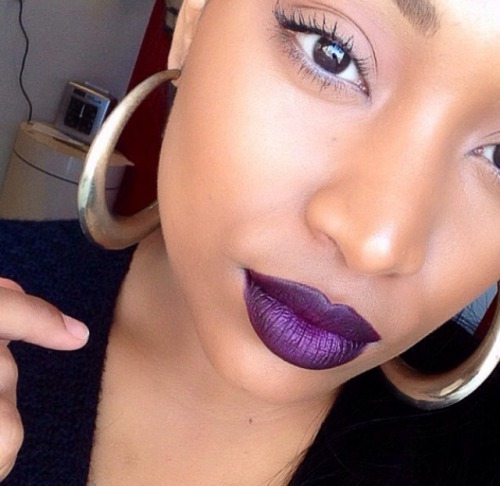 And of course a picture of my last makeup look with purple lipstick. 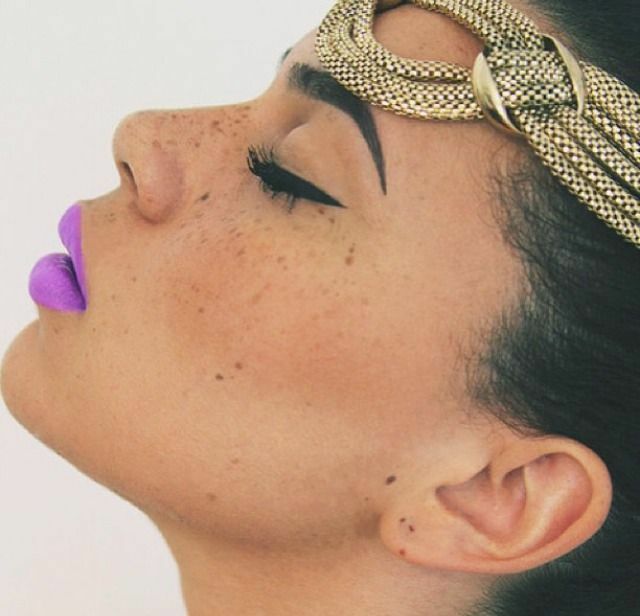 Skip the false lashes and you've got yourself a wearable look! 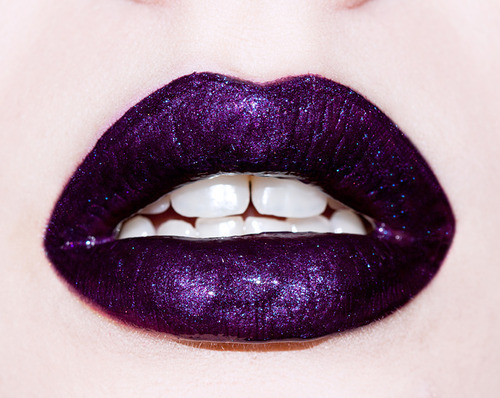 Do you understand my love for purple lips now? Do you?! I bet you do! 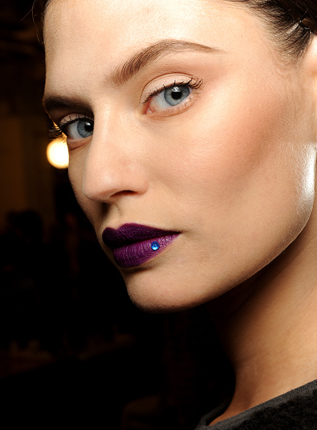 Purple is one of those colours that suits everyone, every skin tone and every make-up style. 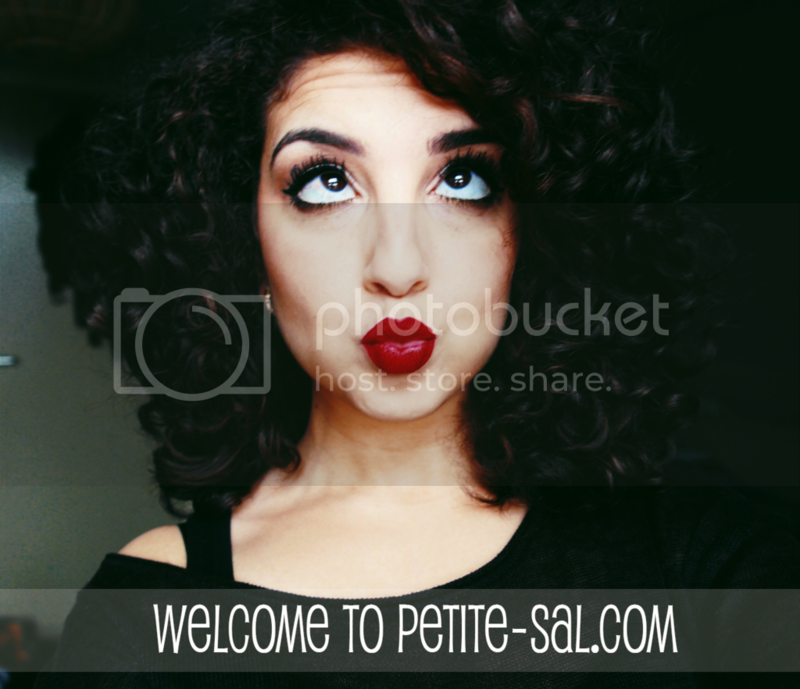 Whether you like to go bold with your make-up or the opposite, when you like to keep it natural. There are many shades of purple and many ways of wearing them. OMG what's that purple in the 1st pic!!!!! I LOVE it!!! In love with these colours... not brave enough to wear them tho! 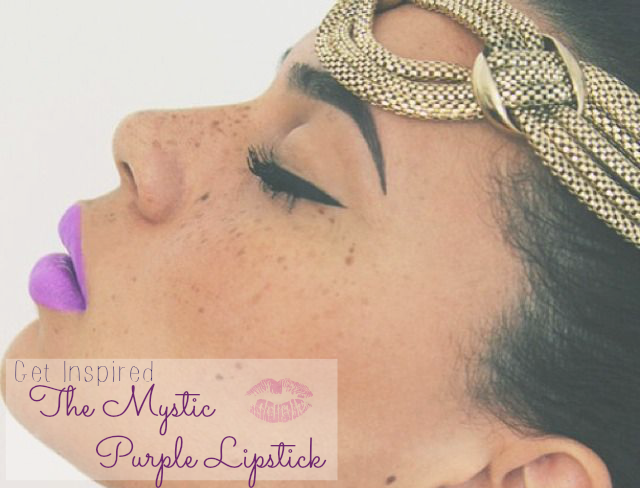 I am a purple lipstick addict just did a blog post on my favourite ones! Purple is the best colour ever!